Students willing to get admission in Public sector engineering universities of Punjab have to appear in ECAT test. Engineering College Admission Test commonly known as ECAT is the test to get admission in UET Lahore, UET Taxila and all other campuses and affiliated colleges of UET Lahore. Registration for ECAT test has been started and last date to apply for ECAT test is 3rd July 2017. ECAT entry test will held on 16th July 2017. ECAT test will consist of Physics, Maths, English and selected subject (Chemistry/ Computer, Statistic) MCQ’s. Every year more than 45000+ students appear in ECAT test which increase its competency level due to less number of seats available in UET and its affiliated colleges. 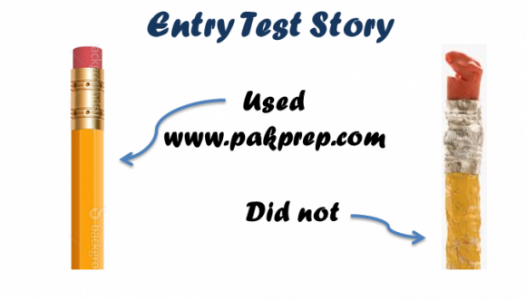 Pakprep.com provides the complete coursework for ECAT Entry Test preparation. We have more than 15000+ fully explained MCQ’s and MOCK test for ECAT which provides real test environment before actual test. To start your preparation for ECAT CLICK HERE. To apply for ECAT test follow the bellow details. This entry was posted in ECAT, UET and tagged Best way to prepare for UET, BS admissions, Bs programs, BSc Electrical Engineering Admission, BSc Electrical Engineering Entry test, BSc Electrical Engineering Test, BSc Electrical Engineering Universities, BSCS, BSCS Admission, BSCS Admission Test, BSCS Entry test, Download ECAT Past Papers, ECAT, ECAT 2017, ECAT Chemistry Explained MCQs, ECAT Chemistry MCQs, ECAT Chemistry MCQs with Answer, ECAT Chemistry MCQs with answers, ECAT English Explained MCQs, ECAT English MCQs, ECAT English MCQs with Answer, ECAT English MCQs with Answers, ECAT Entrance Test Preparation Online, ECAT Entry Test, ECAT Entry Test 2017, ECAT Entry Test Preparation Online, ECAT Mathematic Explained MCQs, ECAT Mathematics Explained MCQs, ECAT Maths Explained MCQs, ECAT Maths MCQs, ECAT Maths MCQs with Answer, ECAT Maths MCQs with Answers, ECAT MCQs, ECAT MCQs with answer, ECAT MCQs with answers, ECAT MCQs with explanation, ECAT Online, ECAT Past Papers, ECAT Physics Explained MCQs, ECAT Physics MCQs, ECAT Physics MCQs with Answer, ECAT Punjab, ECAT Solved MCQs, ECAT Test, How to Prepare for ECAT, How to Prepare for UET Lahore, merit list ECAT Test, Merit List UET, Punjab ECAT, Punjab ECAT 2015, Punjab ECAT 2017, Punjab ECAT MCQs, Punjab ECAT MCQs with Answer, Punjab ECAT MCQs with Answers, Punjab ECAT MCQs with explanation, Punjab ECAT Preparation Online, UET, UET admission, UET Admission 2017, UET Admission Test Date 2015, UET Admission Test Date 2016, UET Admission Test Date 2017, UET Chemistry Explained MCQs, UET Chemistry MCQs, UET Chemistry MCQs with Answer, UET Chemistry MCQs with answers, UET ECAT Result, UET Entrance Test, UET entry test, UET Entry Test 2015, UET Entry Test 2016, UET Entry Test 2017, UET Entry Test Online Preparation, uet explained mcqs, UET Explained MCQs Online, UET Faisalabad, UET Gujranwala, UET Gujranwala Admission, UET Lahore, UET Lahore Admission, UET Lahore Admission 2017, UET Lahore Admission Dates 2015., UET Lahore Admission Dates 2015. Lahore Admission Dates 2017, UET Lahore Admission Dates 2017, UET Lahore Chemistry MCQs, UET Lahore Entrance Test, UET Lahore Entrance Test 2017, UET Lahore Faculties, uet lahore mcqs, UET Lahore Merit List, UET Lahore Merit List 2015, UET Lahore Merit List 2016, UET Lahore Physics Explained MCQs, UET Lahore Physics MCQs, UET Lahore Physics MCQs with Answer, UET Lahore Physics MCQs with Answers, UET Lahore Programs, UET Lahore Scholarships, UET Lahore Undergraduate Programs, UET Mathematics MCQs, UET Maths Explained MCQs, UET Maths MCQs, UET Maths MCQs with answer, UET Maths MCQs with Answers, UET Maths MCQs with solution, UET MCQs Online, uet mcqs with answers, UET Merit List 2015, UET Merit List 2017, UET Physics MCQs, UET Solved MCQs, UET Taxila Admission, UET Taxila Admission 2017, UET Taxila Admissions, uet taxila Explained mcqs, uet taxila mcqs, uet taxila mcqs with answer, uet taxila mcqs with answers, What is ECAT on June 22, 2017 by Pakprep.com Admin. ECAT stands for Engineering Collage Admission Test, this test is for getting admission in Public sector engineering universities of Punjab. Around more than 40,000+ students appear in ECAT test every year but there are only 3,000 seats are available in Public Sector universities of Punjab. So as we can see from numbers it is a tough task to clear this test. ECAT test is consist of Physics, Chemistry, Maths and English MCQ’s. 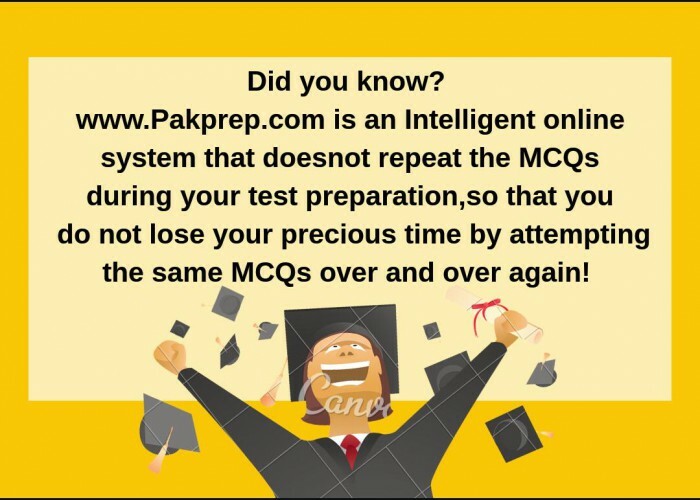 You can get yourself prepared from Pakprep.com, We have more than 15,000+ fully explained MCQ’s and MOCK Test for ECAT. To start your preparation today Click here. Here are some of the samples MCQ’s of chemistry with answers from Pakprep.com. This entry was posted in ECAT, UET and tagged Best way to prepare for UET, Download ECAT Past Papers, ECAT, ECAT 2017, ECAT Chemistry Explained MCQs, ECAT Chemistry MCQs, ECAT Chemistry MCQs with Answer, ECAT Chemistry MCQs with answers, ECAT English Explained MCQs, ECAT English MCQs, ECAT English MCQs with Answer, ECAT English MCQs with Answers, ECAT Entrance Test Preparation Online, ECAT Entry Test, ECAT Entry Test 2017, ECAT Entry Test Preparation Online, ECAT Maths Explained MCQs, ECAT Maths MCQs, ECAT Maths MCQs with Answer, ECAT Maths MCQs with Answers, ECAT MCQs, ECAT MCQs with answers, ECAT MCQs with explanation, ECAT Online, ECAT Past Papers, ECAT Physics Explained MCQs, ECAT Physics MCQs, ECAT Physics MCQs with Answer, ECAT Physics MCQs with Answers, ECAT Punjab, ECAT Solved MCQs, Engineering Programs at UET, How to Prepare for ECAT, How to Prepare for UET Lahore, merit list ECAT Test, Merit List UET, Punjab ECAT, Punjab ECAT 2015, Punjab ECAT 2017, Punjab ECAT MCQs, Punjab ECAT MCQs with Answer, Punjab ECAT MCQs with Answers, Punjab ECAT MCQs with explanation, Punjab ECAT Preparation Online, Top UET in Pakistan, UET, UET admission, UET Admission 2017, UET Admission Test Date 2015, UET Admission Test Date 2016, UET Admission Test Date 2017, UET Chemistry Explained MCQs, UET Chemistry MCQs, UET Chemistry MCQs with Answer, UET Chemistry MCQs with answers, UET ECAT Result, UET Entrance Test, UET entry test, UET Entry Test 2015, UET Entry Test 2016, UET Entry Test 2017, UET Entry Test Online Preparation, uet explained mcqs, UET Explained MCQs Online, UET Faisalabad, UET Gujranwala, UET Gujranwala Admission, UET Lahore, UET Lahore Admission, UET Lahore Admission 2017, UET Lahore Admission Dates 2015., UET Lahore Admission Dates 2017, UET Lahore Chemistry MCQs, UET Lahore Entrance Test, UET Lahore Entrance Test 2017, UET Lahore Faculties, uet lahore mcqs, UET Lahore Merit List 2015, UET Lahore Merit List 2016, UET Lahore Physics Explained MCQs, UET Lahore Physics MCQs, UET Lahore Physics MCQs with Answer, UET Lahore Physics MCQs with Answers, UET Lahore Programs, UET Lahore Scholarships, UET Lahore Undergraduate Programs, UET Mathematics Explained MCQs, UET Mathematics MCQs, UET Maths Explained MCQs, UET Maths MCQs, uet mcqs, UET MCQs Online, uet mcqs with answers, UET Merit List, UET Merit List 2015, UET Merit List 2017, UET Physics Explained MCQs, UET Physics MCQs, UET Physics MCQs with Answer, UET Physics MCQs with Answers, UET Solved MCQs, UET Taxila, UET Taxila Admission, UET Taxila Admission 2017, UET Taxila Admissions, uet taxila Explained mcqs, uet taxila mcqs, uet taxila mcqs with answer, uet taxila mcqs with answers, What is ECAT on April 29, 2017 by Pakprep.com Admin.